Life moves fast but we can learn how to slow down and get quiet. Spend a Saturday morning with Pastor Jenny as we gain tools to begin or restart a meditation practice. 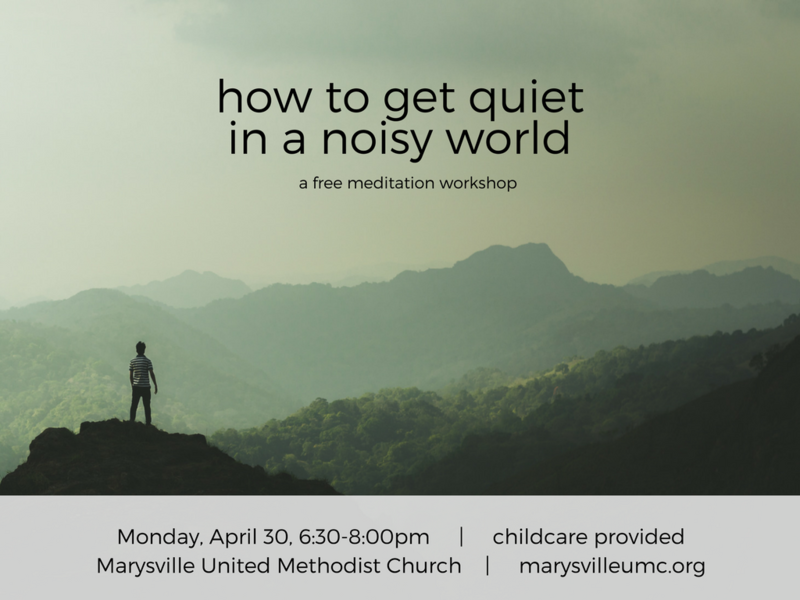 This free workshop is available to our Marysville community. Monday, April 30 from 6:30-8:00pm at 5600 64th St. NE in Marysville. Childcare provided.